The front page (usually) updates every week. And it is just a static page. I am officially a Canadian. Friday, April 5th. 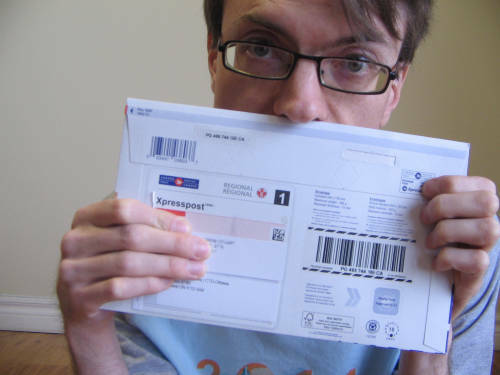 The vaunted envelope containing my Confirmation of Permanent Residence arrived in the mail. This was the moment that I had spent the last 29 months working to achieve...and had contemplated as early as 2002. Call up Immigration, Refugees and Citizenship Canada and schedule an appointment at an inland office. 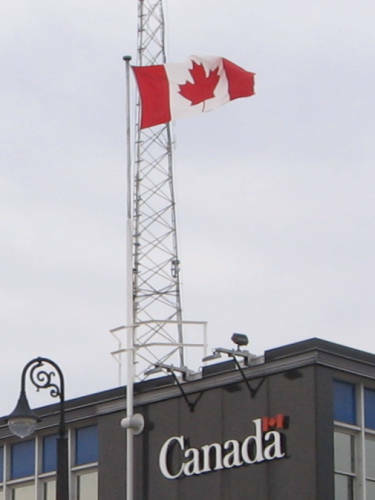 I dread crossing the U.S.-Canadian border, and IRCC has started to discourage flagpoling in subtle and not-so-subtle ways...so I initially tried the inland option. One problem, though: The IRCC phone number is unplugged on Friday evenings and weekends. So I waited until Monday, navigated the phone tree...only to reach a recording imploring me to e-mail them instead. So I tried to do that...but after waiting a full week and a half with no response and no appointment, my patience was at an end. So, I hatched a plan. 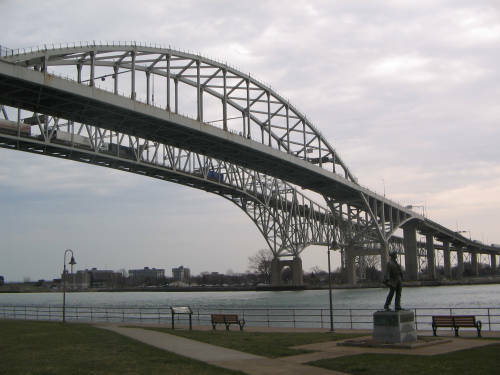 I would drive to Port Huron, Michigan...the nearest port of entry on the U.S.-Canadian border. I would treat the trip as a tourist visit. And I would "land" as a permanent resident on the way back. I contemplated each step, fetched a copy of every immigration-related document I thought I might need, set the coffee machine...and waited for a new day. Next morning I grabbed my documents, grabbed my coffee, and pointed the car in the direction of the United States. The highway became ominously emptier and emptier the closer I got to the Blue Water Bridge...until I was on the bridge itself, where traffic was stopped dead in its tracks. I creeped forward in line at a snail's pace for the next half-hour, my clutch-pedal foot getting number and my heartbeat racing faster with each mounting minute. Would this be the nightmare of 2015 all over again? I hand over my U.S. passport, which the agent scrutinizes for a few moments. Agent, after a pause: "Did you say 'yes,' or 'US?'" Me, trying hard not to chuckle: "Yes, and US!" Agent: "Have you come through this port of entry before?" Agent: "Where are you going?" Agent: "What do you plan to do there?" 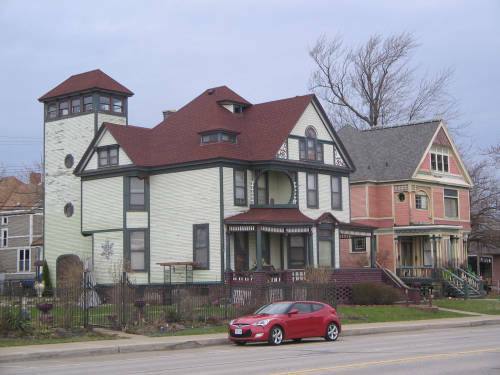 Me: "I plan to visit the Fort Gratiot Lighthouse and Port Huron Museum." The agent pauses, and writes this down. Agent: "Why do you want to visit the lighthouse?" 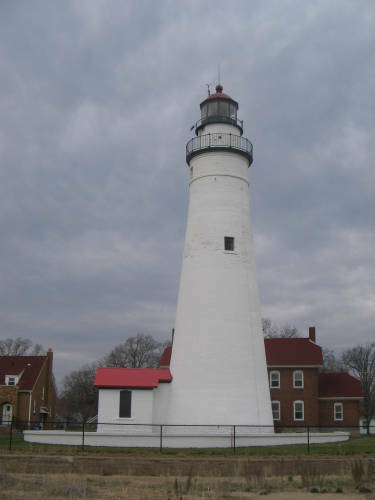 Me, having anticipated that question: "Because the Fort Gratiot Lighthouse is the oldest lighthouse in the state of Michigan." Agent, after another pause: "And this museum you speak of...where is it?" Agent, handing my passport back: "Have a good day." I circled round, and eventually wound up in the vicinity of the museum downtown. I saw not a single other Ontario car on Port Huron streets. The U.S. police state has succeeded in scaring cross-border tourist traffic away. After a bit of an adventure trying to buy gas (a Canadian address never fails to foul ZIP code calculators up), I had had enough. 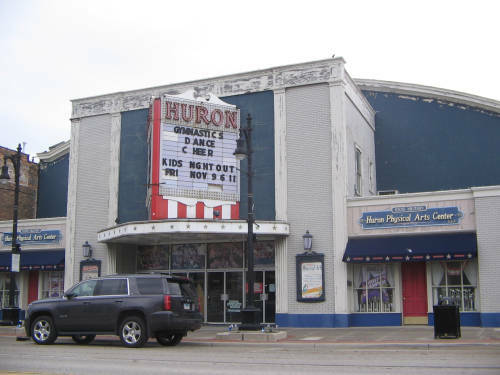 It was time to kiss Port Huron goodbye, land in Canada...and start the rest of my life. I pulled onto the eastbound ramp leading I-94 to the 402, and paid the requisite four-dollar toll for the bridge. Traffic on the bridge moved much more quickly out of the States than into it. I was nervous...but also overcome with excitement. The conversation at the booth went something like this. Agent: "What is your status in Canada?" Me: "I currently have a work permit." Agent: "Do you have the permit with you?" Me, motioning to a stack of papers next to me: "I do! And today, I am landing." Agent, raising his eyes with interest and enthusiasm: "Oh!!!!" I'm handed my passport and a yellow piece of paper, and am motioned to proceed to the customs house just ahead. I pull in...and after a momentary spot of confusion trying to park and get out of the car, I walk inside with my paperwork in tow. Would there be a long line leading up to the "Immigration" window? Would I have to wait for hours to have my paperwork processed? No: There's only one other person standing in line in the entire building. I approach the mat leading up to the "Immigration" window, and barely wait 30 seconds before someone calls me over. I announce that I'm landing, and I pull out the stack of documents I brought along...with the important ones (my passport, my work permit, and my Confirmation of Permanent Residence letter) on top. The official is about my age, and responds to my request without hesitation. I'm directed to the waiting area, where a television set blares news about the latest depravities south of the border. 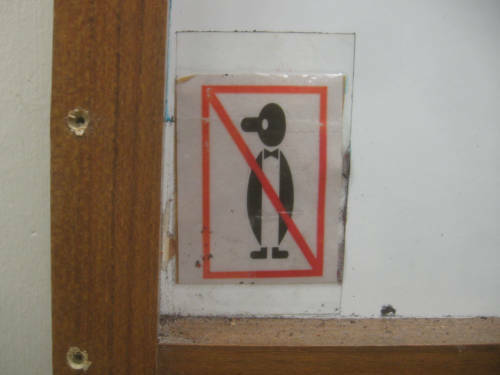 I sit down, then get up to scrutinize the display cases of prohibited animal by-products that had been seized at the border. Five minutes later, I hear my name. "Andrew?" "Have you been charged or convicted of a crime or offence in any country, refused admission to Canada or required to leave Canada?" I sign and initial both copies of the confirmation letter, one of which remains with me. At that moment, it becomes official: I am a permanent resident of Canada. 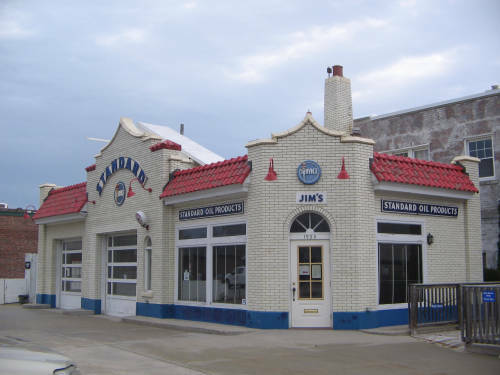 I later stop at Service Canada in Sarnia to obtain a new Social Insurance Number, where I joke that "my great-grandfather moved from Canada to the U.S. one hundred years ago. Now, I've basically reversed his legacy...and if there's a strange rumbling coming out of the ground in southeast Michigan tonight, it's because he's rolling in his grave!" Then the magnitude of my achievement dawns on me: I am a Canadian...full stop. I am qualified to work, partake in social benefits, and live anywhere from St. John's to Victoria for the rest of my life. I am on an equal footing for jobs. And I will qualify for citizenship in three years' time, allowing me to obtain a passport and vote in my new surroundings. And "all" it took was tens of thousands of dollars, acceptance into graduate school, one full year of fervent studying at maximum course load, a Master's Degree, a language test, a medical test, five years of skilled employment, literally dozens of paper and online documents to get in order, a lot of time, and a lot of luck. That's the sobering undercurrent of immigration: If you're old, or you're sick, or you're poor, or you don't have an advanced degree or very specific qualifications, or you can't get a passport that reflects your self-identified gender, or you can't get a passport at all...the door is closed. I may have pulled it off, but there are legions of marginalized people (both in the U.S. and in the rest of the world) that cannot. And that's what keeps me from being too happy about it all. Is today the last day that ShopKo stores are open? It seems to be, in a lot of places...but who knows what's going on down there anymore? The company is in its death throes, having been slowly run into the ground by a corporate raider"private equity" firm. Hundreds of lower-level employees are losing their jobs, while capitalist suits somewhere are laughing their way to the bank. As usual, in America. 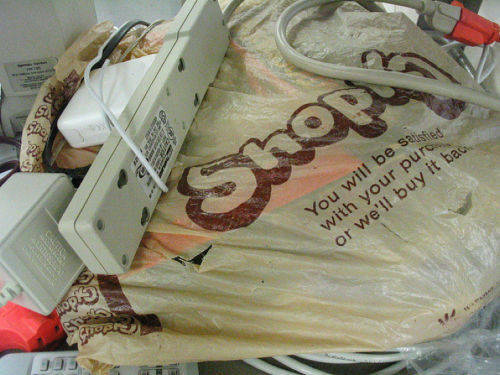 If you've never heard of ShopKo, I can't blame you. You wouldn't cross paths with a store by that name unless you lived in Wisconsin...or one of the far-flung western U.S. states that make up its strange and perplexing trade area. With businesses like Towers, Zodys, Fed-Mart, Caldor and Hills long-gone and with Kmart resembling Monty Python's parrot more and more by the hour ("He's not dead...he's, he's restin'! 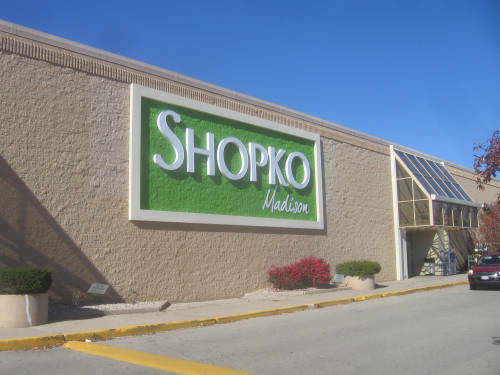 "), ShopKo was arguably the second-to-last direct competitor to Wal-Mart left in existence...and one of the last surviving regional retail chains of any sort. I went to ShopKo fairly often during the years of the Failed Wisconsin Experiment, and always found their stores to be clean, well-stocked...and utterly devoid of people. 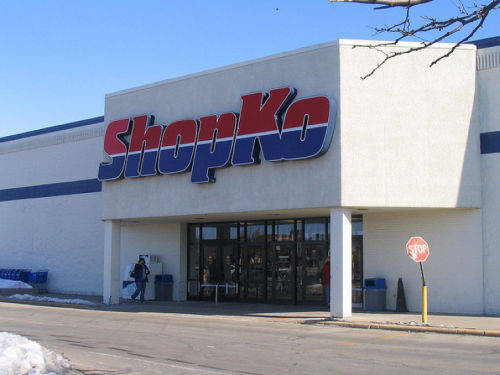 First off, here's the ShopKo store in De Pere that was still wearing its 1990s-era red and blue livery when I took this picture in the winter of 2010. Apparently, this one has already closed. 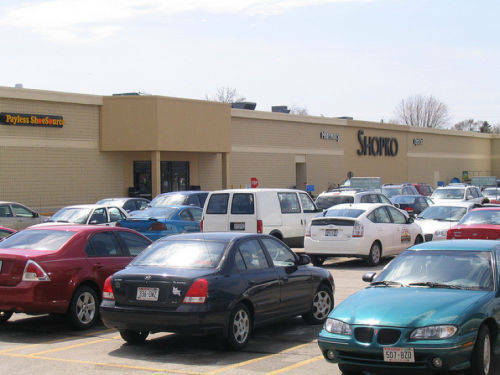 One of the stores on today's closing list was the ShopKo of Manitowoc, shown here in 2009 sporting the boring beige livery that defined the chain's later existence. This store was one of a seemingly eternal number of businesses I interviewed for that flat-out refused to hire me during the four years I wasted in that city. I have been approved for permanent residency in Canada. I still have to "land" and have my confirmation letter validated before my status is official, but I'm basically 99% of the way there. This comes three months after I submitted my application, five months after I graduated from Western University with my master's degree, and a little more than a year and a half after I stepped foot on Canadian soil in the summer of 2017. I'm excited for my future here. I said "more to come next time" after last week's post, didn't I? Sure I did. So never fear, more stupefying trivia about the record industry is here! A&M's main numbering series started at LP-101 in 1962. This became SP-4101 with the addition of a stereo prefix, and worked its way up to 5403 (the Gin Blossoms' New Miserable Experience) 30 years later. As with Capitol's ST prefix, this series wasn't pegged to any specific price...it merely indicated the "standard" price, which ranged anywhere from $4.98 to $8.98 depending on the era. A&M Records also had several smaller numbering series that were used to indicate deviations from the "standard." In the early 1970s, certain big-name albums were cordoned off in the SP-3500 series with a dollar-higher $5.98 list price. A $6.98 SP-3600 series followed in 1973...and for most of 1974, this became the main series as the industry hiked list prices across the board in the wake of the 1973 oil embargo. Eventually the main series was also bumped to $6.98, and it resumed at SP-4501 in 1975. The SP-3700 sequence started in 1973 as a series of $7.98 double albums, at a time when standard single albums were $5.98. By 1979 the standard album price had risen to $7.98, and the SP-3700 series was recast as a series of "highline" $8.98 albums. Some records were recatalogued with different numbers as pricing changed: For instance, Herb Alpert's Rise (1979) started off as SP-4790 ($7.98), was bumped to SP-3714 ($8.98) as it rode high on the charts, then dropped to SP-3274 ($5.98 or $6.98) as it assumed midline catalogue status. The SP-3700 series eventually became redundant when the main series assumed the $8.98 price point, but in 1986 a series of pricy $9.98 albums was introduced numbered off from (what else?) SP-3900. In 1989 A&M was sold to PolyGram, a company with a practice of doling out catalogue numbers to its constituent labels from a single worldwide numbering series. A&M was assigned two blocks of numbers: One for albums in the 31454 0000s, and one for singles in the 31458 0000s. This continued until 1999, when PolyGram was subsumed into Universal Music and A&M essentially ceased to exist. I discussed the Atlantic label's catalogue numbering blocks in my introductory post on the topic two weeks ago. The Atlantic Group was more than just Atlantic per se, though: The company had numerous subsidiaries and handled distribution for a wide range of independent and international labels as well. Each of these had its own numbering series in the 1970s, with a different block of numbers for each price point...making any comprehensive Atlantic discography an excessively complex thing to behold! The above table doesn't even tell the whole story. There was also Atlantic's SD 1000 jazz series, which in the 1960s was priced a dollar more than pop albums...though what price it carried in the 1970s is anyone's guess. There were short-lived series for other distributed labels that simply didn't last long enough to splinter into more than one price point. Then there were special series for multi-record sets...which of course cost more, and which were essentially unique numbers. Atlantic started taking steps to rationalize its catalogue numbering system in 1979, when $8.98 pricing was introduced. All records at this new price point were numbered off in two consolidated series (16000 and 32-000) regardless of which subsidiary they had come from. Albums from new subsidiaries and newly-assumed distributorships like Mirage and Modern Records were also subsumed into existing series instead of being given new numbering blocks of their own. Finally in 1982, Atlantic unveiled a completely new numbering system that reduced all the prevailing series to just two: One block of numbers starting at 80001 for the Atlantic label, and one starting at 90001 for distributed labels and subsidiaries. These series lasted for the next 25 years...or into the next millennium and beyond. As a follow-up to last week's post, here are explanations of some of the price-coding systems used by other record labels of the 1970s. Capitol's system is notoriously confusing. From the 1950s to the 1980s, the label relied on a system of letter prefixes keyed to price points...but while an "ST" record may have cost $4.98 in 1965, it certainly didn't cost that in 1985! That's because the label's approach to codes was a little different from most. "ST" didn't necessarily denote a $4.98 LP; it merely meant a stereo record at the "standard" price, whatever that may have been at the time. Other letters were used to show deviations: "SM" and "SN" records were discount-priced, whereas "SW" was used for "premium" albums costing a dollar more. When list prices rose to $6.98 in 1974, Capitol appears to have used "SO" to introduce the new price point...then let it be assumed by "SW" and then "ST" as the new pricing structure became established. The same appears to have happened in 1977 for $7.98 records. When $8.98 records came out, however, it happened so soon after the previous price increase that using "SO" would have caused confusion. Capitol's solution was to add an extra letter ("SOO") and skip the SW stage of progression altogether, letting the $8.98 price point "graduate" directly from SOO to ST. When $9.98 records began to appear in the 1980s, they were denoted with the "SJ" and "PJ" prefixes. (Some early "SJ" albums may have still been $8.98.) This very briefly became "CLJ" ("CLT" for $8.98) when EMI consolidated its worldwide numbering systems in 1987...then the codes disappeared for good. A label code: UA=United Artists, BN=Blue Note, and so forth. A format code: LA=LP, CA=cassette, EA=8-track. A sequential number, starting at 001 and working upward. A simple and consistent price code: F=$5.98, G=$6.98, H=$7.98, and so forth. This system was not used for a particularly long period of time. Why? 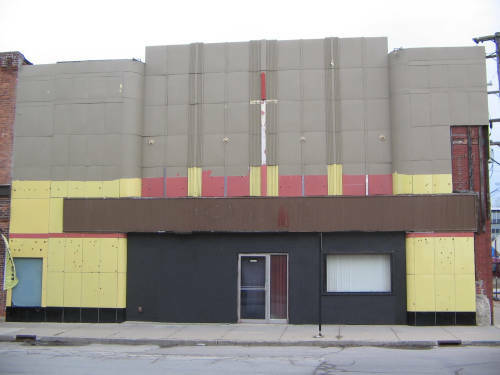 United Artists in the 1970s was owned by Transamerica Corporation, an insurance conglomerate that knew absolutely zilch about the music business. By the second half of the 1970s, UAR was shedding talent and bleeding money...and Transamerica's solution was to sell the label to the executives running it, who immediately defaulted on their loans and left Capitol Records holding the bag. The very first word of order that Capitol did was scrap the United Artists code system and replace it with its own...shortly before scrapping the United Artists name, and shutting the label down altogether. More to come next time. Feeling disoriented? Here's the site map that used to be on the front page. 100% hand-coded from scratch XHTML!